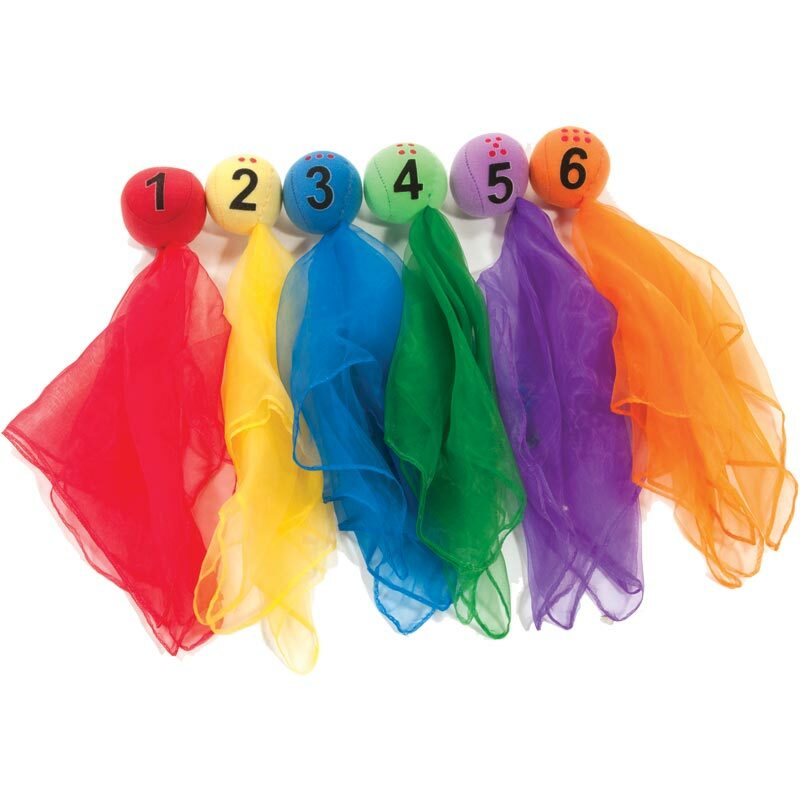 These colourful PLAYM8 ® Number Scarfballs provide a visual aid for tracking slow movement through the air. The lightweight cloth balls are 5cm diameter with a 35cm scarf attached. Each are numbered 1 to 6, so numeracy games can be easily incorporated. Ideal for young children learning how to catch, throw or juggle. Sold as a set of 6, 1 of each colour red, yellow, blue, green, orange and purple.